My article Is Mr Xi the winner? appeared in The Statesman. At the end of the 19th Congress, most of the Western media have declared President Xi Jinping, the winner. He is the most powerful leader since Mao, say the China watchers. But is it true? A great difference between Mao and Xi is that the Great Helmsman controlled the Communist apparatus without intervening much in the day-to-day affairs. He often travelled the countryside in luxurious trains for weeks, with just a few secretaries and several of his favourite ‘nurses’. He had no encrypted way of communicating with his colleagues (or ‘lackeys’ in Maoist parlance) in Beijing. He was not bothered. This is not the case of Xi Jinping who heads a large number of Leading Small Groups on many topics under the Middle Kingdom’s sky, but he is also General Secretary of the Communist Party of China, the President of the People’s Republic of China, the Chairman of the Central Military Commission and the Commander-in-Chief of the Joint Battle Command. Xi has however undoubtedly emerged as the winner on several fronts in recent months. 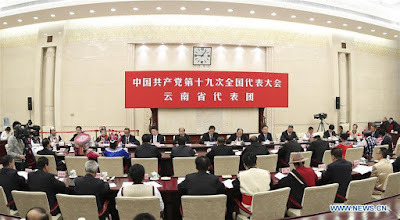 First and foremost, the 19th Congress approved an amendment to the Party Constitution enshrining Xi Jinping Thought on Socialism with Chinese Characteristics for a New Era. Though the new Central Committee and Central Commission for Discipline Inspection are more or less along the expected lines, the Politburo and the Standing Committee brought some surprises. 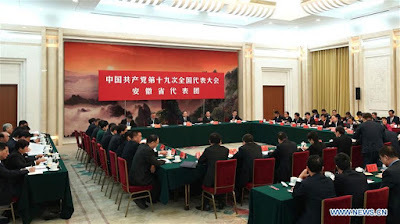 The new Politburo’s Standing Committee now comprises President Xi, Premier Li Keqiang, Li Zhanshu, Wang Yang, Wang Huning, Zhao Leji and Han Zheng. The presence of Li Zhanshu, Xi’s chief of staff, who is to take over the chairmanship of the National People’s Congress, is a proof of Xi’s control over the appointments. Ditto for Wang Huning, the party theorist who will take the charge of ideology, propaganda and party organization, while Zhao Leji will replace Wang Qishan, as the new antigraft tsar. Wang Yang will take the seat of Yu Zhengsheng as chairman of the Chinese People’s Political Consultative Conference; as for Han Zheng, he will probably be drafted as Executive Vice-Premier in March. 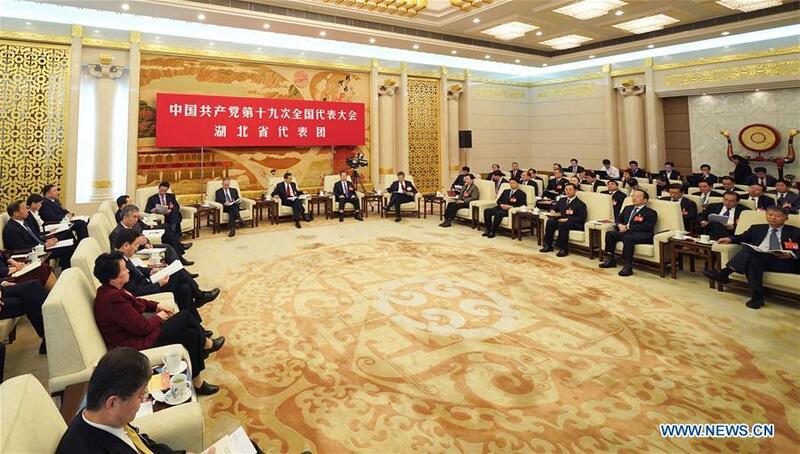 But where are Xi’s presumed successors, Hu Chunhua and Chen Miner? Where is Wang Qishan, Xi’s right-hand man who, for five years, arrested the ‘tigers and the flies’? 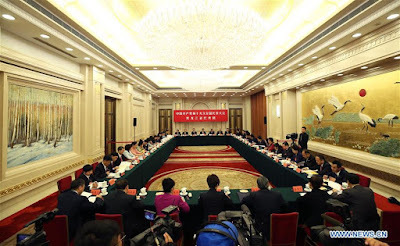 The absence in the Standing Committee of Chen Miner, the Party Secretary of Chongqing, who was expected to be anointed ‘heir apparent’ has been noticeable. Apparently Xi does not want a ‘successor’ as yet. Same for Hu Chunhua, Guangdong Party Secretary, who for several years was said to be a future new General Secretary. 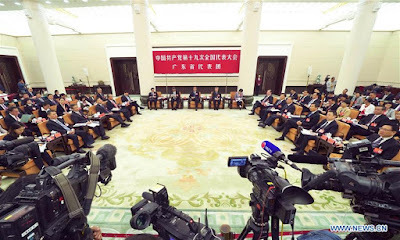 Just before the Congress, the South China Morning Post (SCMP) which has been by far the bestinformed, noted: “Hu Chunhua ~ the widely tipped successor ~ and the president’s protégé, Chongqing party chief Chen Miner, are both likely to be missing from the Politburo Standing Committee. Instead, they will join the Politburo, which is one rank lower.” It is what happened. SCMP had good tips, despite the opacity of the party proceedings. The great surprise was that Wang Qishan, who is responsible for making thousands of party heads roll, has stepped down from the Standing Committee, due the age-limit norm. It was confirmed when his name did not appear in the list of the new Central Committee members. Many ‘watchers’ were expecting Xi to break an unwritten retirement-age rule to keep his friend Wang in the Standing Committee. Two members of the powerful Central Military Commission (CMC) made it to the Politburo. Apart from Air Force General Xu Qiliang, presently CMC ViceChairman, General Zhang Youxia, a family friend of Xi, was selected as the second vicechairman. It is easier to agree on 7 than 11. Xi said socialism with Chinese characteristics has entered a new era, and the military should make all-out efforts to become a world-class force by 2050 while striving for the realization of the ‘great rejuvenation of the Chinese nation’. Xi ordered the PLA to be absolutely loyal to the party, to focus on how to win in wars, to pioneer reforms and innovation, to scientifically manage commanding a unit and to lead troops in accordance with the strictest standards. Strangely, there was no photo with the new CMC. But Chinese women leaders are still practically excluded from the top of the hierarchy. Of the 204 members of the Central Committee, just 10 are women; the same figure as that for the 18th congress of 2012. And only one lady, Sun Chunlan made it in the Politburo. She will probably retain her job as Chief of the United Front Work Department. That is disappointing. As for the ethnic minorities, they have got a slightly better deal in the Central Committee, with 16 members from ethnic origins compared to 10, five years ago. 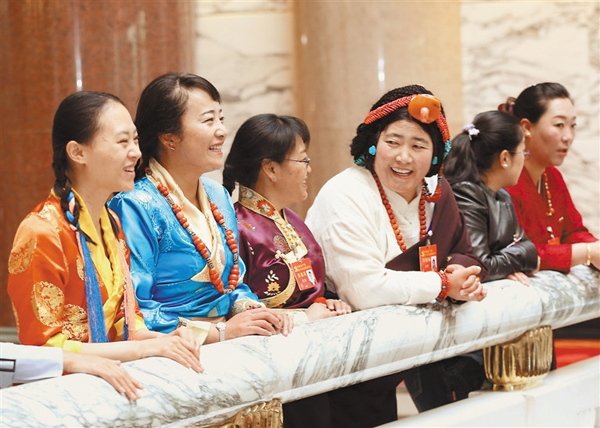 Incidentally, the Tibetans have four representatives who have been selected as members of the Central Committee (Lobsang Gyaltsen and Che Dalha) and Alternate members (Norbu Thondup and Yan Jinhai, a Tibetan from Qinghai); it is a first. Further, Wang Huning, the newly-appointed member of the Politburo’s Standing Committee will probably represent Tibet at the National People’s Congress in March. The question is why should a Han leader represent Tibet? Han chauvinism will continue for some time more. In any case, Wang’s presence does not mean that life will become easier for the Tibetans or the Uyghurs. Chen Quanguo, the former Party Tibet Secretary presently posted in Xinjiang, has been rewarded with a seat in the Politburo for the repressive measures he introduced in the restive Muslim region. What does all this mean for India? One will have to wait and see. As Deng Xiaoping liked to say, ‘Let us seek truth from facts’. My article Xi may not be all powerful appeared in Rediff.com. 'He still has to deal with party norms and traditions and has been careful to follow the order of seniority,' points out Claude Arpi. Leys was reviewing a book written by Father Laszlo Ladany, a Jesuit priest living in Hong Kong, who ‘with good reason’ was acknowledged as the doyen of the ‘watchers’. I could not help thinking of these words while watching the unfolding of the 19th Congress of the Chinese Communist Party. Till the last minute, it was difficult to make out what would happen next. 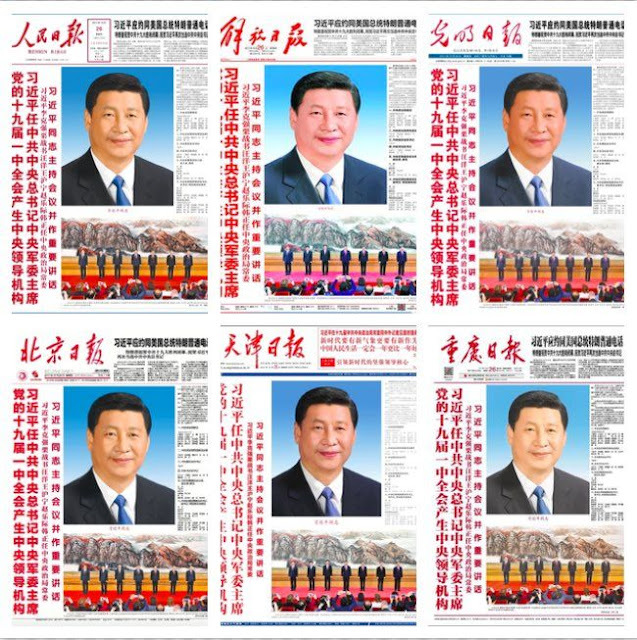 Xi Jinping undoubtedly emerged the winner on most of the fronts. 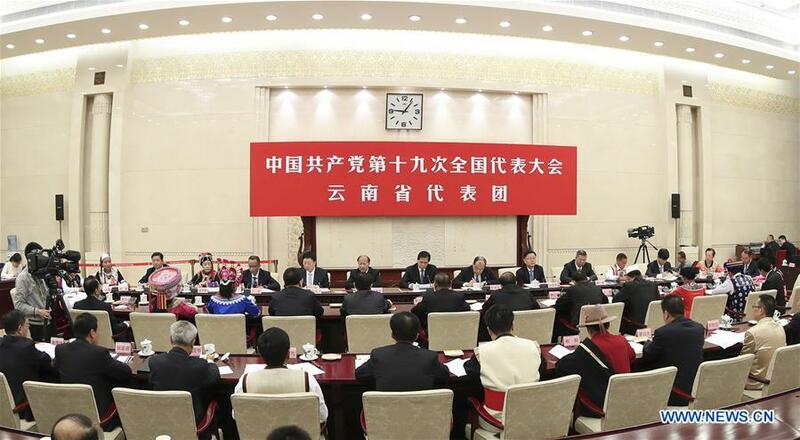 First and foremost, the 19th Congress approved an amendment to the Party Constitution enshrining ‘Xi Jinping Thought on Socialism with Chinese Characteristics for a New Era’. 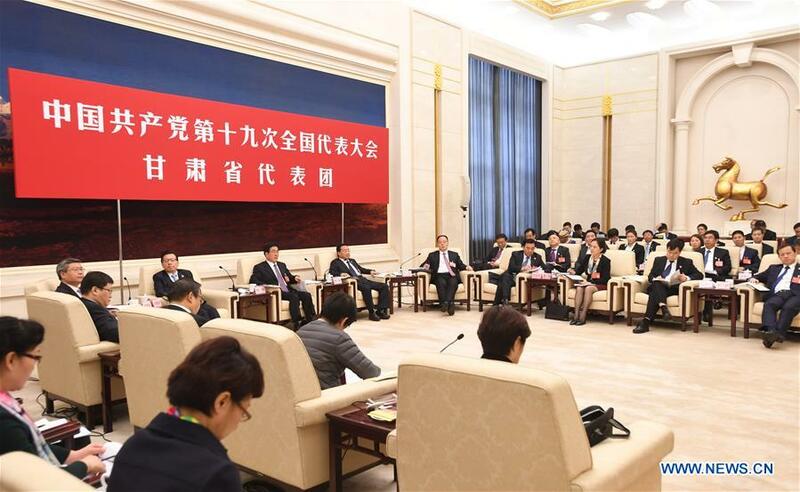 Though the new Central Committee and Central Commission for Discipline Inspection are more of less along the expected lines, the Politburo and the Standing Committee brought some surprises. The new Politburo’s Standing Committee now comprises of President Xi Jinping, Premier Li Keqiang, Li Zhanshu, Wang Yang, Wang Huning, Zhao Leji and Han Zheng. The presence of Li Zhanshu, Xi’s chief of staff, who is to take over the chairmanship of the National People’s Congress is a proof of Xi’s control over the appointments. Ditto for Wang Huning, the party theorist who should take the charge of ideology, propaganda and party organization, while Zhao Leji will replace Wang Qishan, as the new anti-graft tsar. Wang Yang will take the seat of Yu Zhengsheng as chairman of the Chinese People’s Political Consultative Conference. A noticeable absence is Chen Miner, the Party Secretary of Chongqing, who in many quarters, was expected to be anointed ‘heir apparent’. Apparently Xi did not want a ‘successor’ as yet. It is what happened. Does it mean that China watching is easier today than in the days of Father Ladany? Not really as the opacity of the Party proceedings has not changed much. The great surprise was that Wang Qishan, who is responsible for making thousands of heads on the Party roll, has stepped down from the Standing Committee, due the age-limit norm. It was confirmed when his name did not appear in the list of the new Central Committee members. Many ‘watchers’ were expecting Xi to break an unwritten retirement-age rule to keep his friend and colleague Wang in the Standing Committee. Two members of the powerful Central Military Commission (CMC) made it to the Politburo. 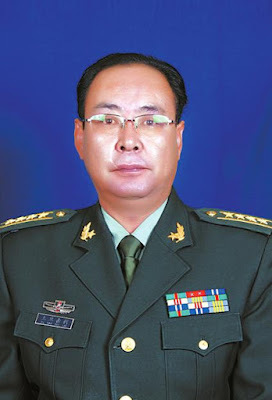 Apart from Air Force General Xu Qiliang, presently CMC Vice-Chairman, General Zhang Youxia, a family friend of Xi, was selected as the second vice-chairman. Xi promised that China, under his leadership, will be an upholder of world peace and stability; his announcement that the Middle Kingdom was ready to play a greater role in building ‘a common destiny for mankind’, is taken by many with a pinch of salt. Only the future will tell. In a resolution approved by the Congress, Xi Jinping's military thinking and the Party's ‘absolute’ leadership over the armed forces have been included in the Constitution. The Belt and Road Initiative, also known as One Belt One Road (OBOR) is now mentioned in the Constitution. 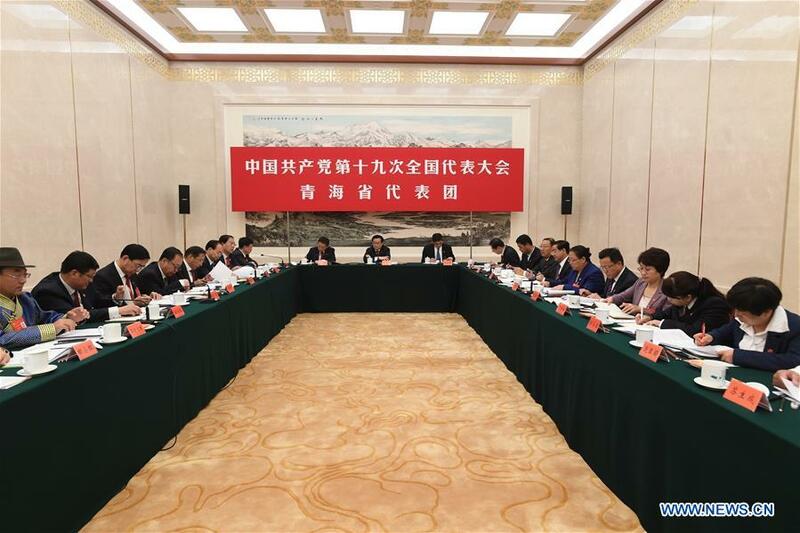 The Congress agreed that "following the principle of achieving shared growth through discussion and collaboration,” the Belt and Road Initiative should be named. India has objected to the fact that a segment of the scheme goes through the Pakistan-occupied Kashmir. The inclusion of OBOR will not solve this issue, on the contrary, it could be further exacerbated. The revised Constitution says that the Party must make comprehensive efforts to ensure that ‘the fight against corruption keeps going’. On October 18, Xi Jinping called corruption ‘the greatest threat’ that the Party faces. The Party will soon adopt a national anti-corruption legislation and create a corruption reporting platform which will cover both disciplinary inspection commissions and supervision agencies, said Xi. Another sign that Xi may not have full control, is the reduced size of the CMC which has only 7 members (apart from the two Vice Chairmen: Xu Qiliang, Zhang Youxia, others are Wei Fenghe, Li Zuocheng, Miao Hua, Zhang Shengmin) compared to 11 during the previous Congress. When the list of the delegates to the Congress was first released in July, many watchers thought that it would mark a new area for women, who made up 24.1 per cent of the 2,287 delegates. But Chinese women leaders are still practically excluded from the top of the hierarchy. Of the 204 members of the Central Committee, just 10 are women; the same figure that for the 18th congress of 2012. And only one lady, Sun Chunlan made it in the Politburo. She will probably retain her job as Chief of the United Front Work Department. That is disappointing. As for the ethnic minorities, they have got a slightly better deal in the Central Committee, with 16 members from ethnic origin compared to 10 only, five years ago. 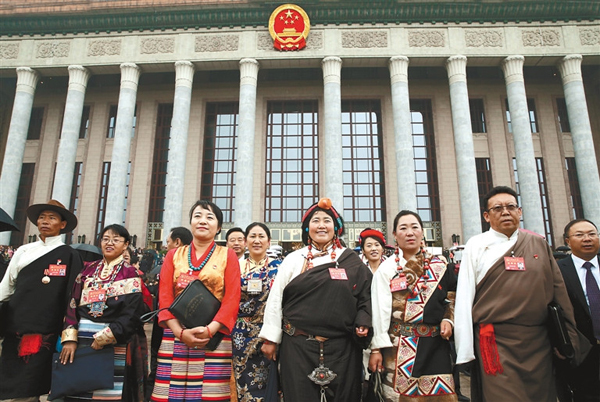 Incidentally, the Tibetans have four representatives have been selected as members of the Central Committee (Lobsang Gyaltsen and Che Dalha) and Alternate members (Norbu Thondup and Yan Jinhai, a Tibetan from Qinghai); it is a first. Further, Wang Huning, the newly-appointed member of the Politburo’s Standing Committee will probably represent Tibet at the National People’s Congress in March. 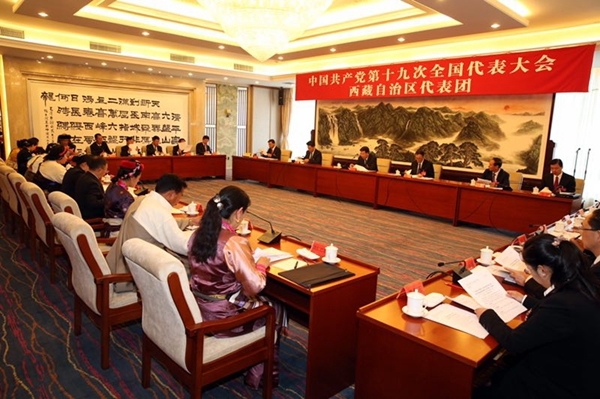 The question is why a Han leader should represent Tibet; Han chauvinism will continue for some time more. In any case, Wang’s presence does not mean that life will become easier for the Tibetans or the Uyghurs. Chen Quanguo, the former Party Tibet Secretary, presently posted in Xinjiang has been rewarded with a seat in the Politburo for the repressive measures that he introduced in the restive Muslim region. What does this mean for India? One will have to wait and see. As Deng Xiaoping liked to say, ‘let us seek truth from facts’. Thirty years ago or today, it is still not easy to read the future of the Middle Kingdom in tea leaves. 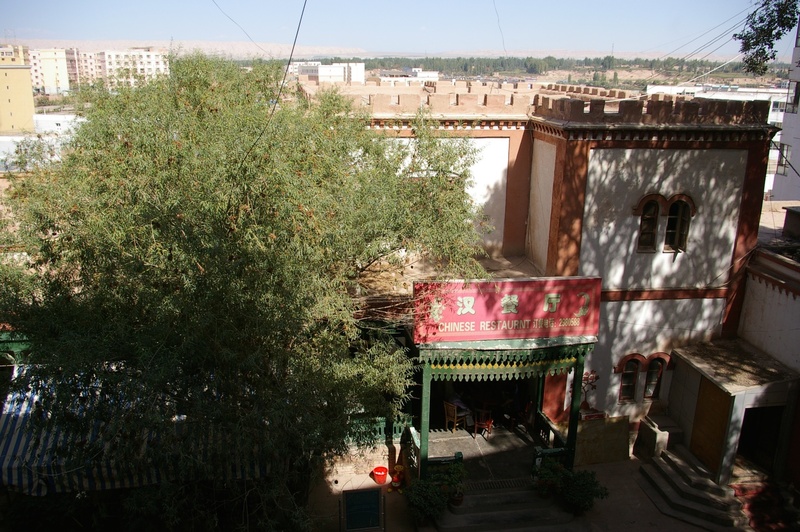 Post-Independence, one of the most mysterious events which occurred in the early 1950s (and perhaps earlier), is still shrouded in veils; it is the closure of the Indian Consulate in Kashgar. In a speech in the Parliament in December 1953, Nehru said, "Some major changes have taken place there [Kashgar]. …But when these changes, revolutionary changes took place there [we had to close our Consulate]." At that time, nobody questioned these changes. Though the Karakoram Pass was still witnessing a large number of caravans carrying on trade between Kashmir and Central Asia, Delhi accepted the closure of its Kashgar consulate as a fait accompli, just because a 'revolution' had taken place. 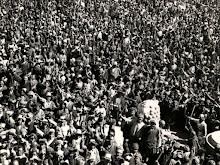 It is not that there was no opportunity to clarify why the Kashgar Consulate was closed, but strangely the issue was never raised, though a Top Secret note prepared for the Panchsheel Agreement negotiations in November 1953, says, "We could ask the Chinese Government to restore the normal traditional trade between Sinkiang and Kashmir, which has been completely stopped now. In fact, we had to close down our Consulate General in Kashgar and all our Indian traders have returned." However, the Indian negotiators kept mum as Delhi was not keen to offer 'a bargaining counter for China to open more Consulates in India'. 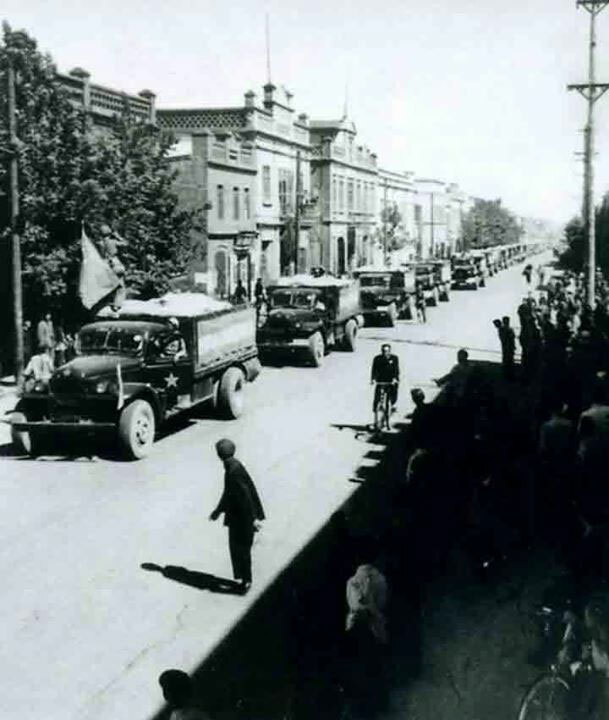 Some documents recently declassified by the Central Intelligence Agency (CIA) bring some light on the 'revolutionary' events in Xinjiang in the early 1950s, particularly a summary of the happenings between 1950 and 1953. A section entitled 'Treatment of Foreigners' says: "The consulates general of Pakistan and India were closed in November 1949. Shortly after the Chinese Communist Army arrived in later December 1949 and in January 1950, restrictions were placed on the movements of people." Why before the Chinese arrived? Again a mystery! 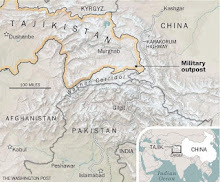 Though 'closed', the Indian Consulate continued to function normally during several months, but in the Fall of 1950, the Indian Consul General, Capt Ram Sathe (later Indian Ambassador in China) had to leave Kashgar …by the most treacherous land route, via the Karakoram pass. 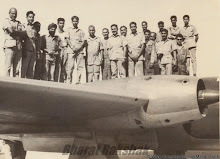 Col PN Kaul, who later served in Lhasa as Consul General, mentions in his memoirs: "Our consul general in Kashgar, RD Sathe of the Indian Foreign Service and an ex-Army officer, and his wife also arrived in Leh during the winter of 1950, after their long and difficult journey from Kashgar. From distant Urumchi (Tiwah), the capital of Sinkiang, came the American consul general, Paxton, and his young wife. They had to stay with us before they could be airlifted. They had an exciting story to tell of their flight from Sinkiang. …Another person who dropped in over the passes later was the British vice-consul from Kashgar." All the foreign diplomats (except the Soviets) had no choice but to escape the Communist 'revolution'. A few other reports from the CIA give a clearer picture of the happenings in Xinjiang. On March 21, 1951, the CIA notes: "the Chinese troops stationed in Sinkiang use systematic, disciplined violence for political reasons, …[while] rations, ammunition and military stores are received from the USSR." The entire trade with Soviet Union and Central Asia was suddenly nationalised "and it is planned to nationalise the land. Sinkiang supplies wool, cotton and leather to the USSR, and in return receives kerosene, gasoline and old fish-plates from the USSR"
As a result, hundreds of Indian traders had to flee Kashgar; they travelled in appalling conditions before reaching Leh and Srinagar. The CIA report continues: "almost all food in Sinkiang is being sent via Kashgar to the USSR by Russian trucks. Even the farmers have little food, and there is acute distress in the cities." At the time, there is not yet any active rebellion: "Russians are working in each Sinkiang government department." Worse for the 'foreigners': "The Communists in Sinkiang spread anti-Pakistan, anti-British and anti-American propaganda, but because of the dislike of the Turki [Uyghur] population for the Communist Government, the propaganda has little effect." Two years later, another report remarks: "the authorities were engaged in liquidating large numbers of people accused of having participated in the 1944 revolt against Chinese rule. [Sinkiang was then made an autonomous province supported by the USSR]." Restrictions have greatly increased, notes the CIA: "it is necessary to obtain police permission before inviting guests to one's home. Further, the traditional fortification walls surrounding the two cities of Kashgar were torn down by forced labor: "All women in both cities were compelled to work at removing the debris resulting from the destruction. 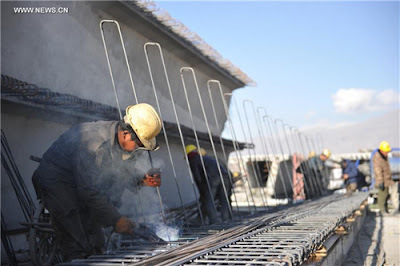 The men of Kashgar were being forced to work on the construction of roads and buildings." During the last months of 1952 "the Government was vigorously pursuing its program for the redistribution of land. Every man agreeing to work in the fields was given 10 mows [a mow equals 0.1647 acres] of land which had been confiscated from wealthy landowners." The report adds: "By the end of 1952 all profitable business, including the silk industry in Khotan, was under Government control. Private business was discouraged, and almost all shops had been turned into Government owned cooperative stores. The salaries paid to shopkeepers were barely enough to cover their living expenses. …any person found with gold or silver in his possession was suspected of engaging in black-market traffic in these metals, a crime, and was subjected to official interrogation concerning the manner in which he obtained it." These were the 'revolutionary' changes mentioned by Nehru. What is striking is the omnipresence of the Soviets who, "posing as engineers, were in almost every town in southwestern Sinkiang." Meanwhile, propaganda goes on full swing: "In every administrative unit youth organizations had been established to carry on propaganda work aimed at reactionary elements in the population. Pictures of Mao and Stalin were displayed in almost every home." The officials in the Government of Sinkiang Province assured the people that "the Chinese in the administrative structure were there simply to teach the natives of Sinkiang the art of governing, and that soon the full Governmental administrative responsibility would be turned over to the people of Sinkiang." It is ironic that more than sixty years later, the Han cadres still control the restive province. Reading these detailed CIA reports makes one understand the chaotic atmosphere in Xinjiang and particularly in Kashgar. In October 1953, a short sentence at the end of a monthly report sent to Delhi by the Indian Ambassador to China, reads: "Indian Consulate General at Kashgar was closed by us during the month and Indian members of our staff started on their return journey home by the overland route." No comment, no detail was given. Returning to 2017, China is today keen that India should join the One Belt One Road initiative, in this case, the Indian Consulate in Kashgar should be reopened. It would be one proof of China's sincerity. This article A strategic engagement with the European Union was published two weeks ago in the Edit Page of The Pioneer. I am posting it now as Madame Florence Parly, French Defense Minister arrives in Delhi on an important two-day visit to India. She will meet her lady counterpart, Nirmala Sitharaman and the Prime Minister. She is due to inauguate the new facilities of DRAL (Dassault Reliance Aerospace Limited) with Anil Ambani (Reliance group) et Eric Trappier (Dassault Aviation). 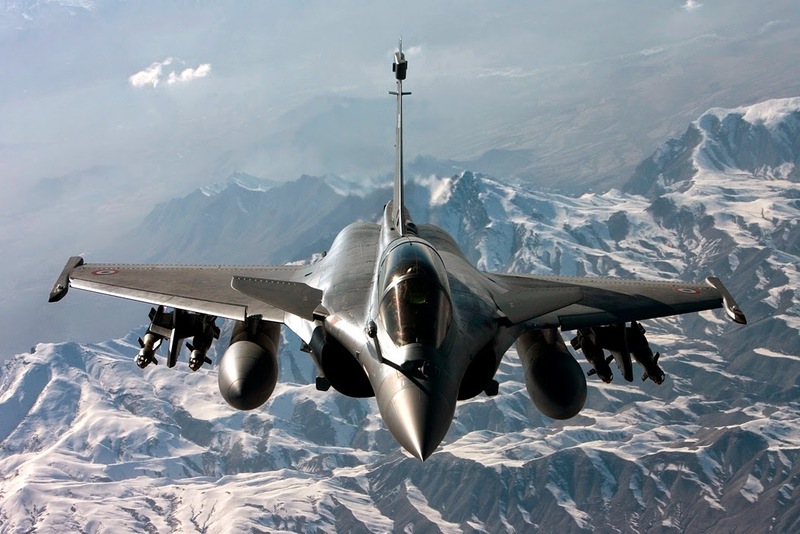 The collaboration between Reliance and Dassault is part of the offset deal for the purchase of 36 Rafales. It may not be possible to characterize the relations between France and India as ‘higher than the mountains, deeper than the ocean, sweeter than honey’; it may never go into such superlatives, but since the past 30 years the contacts have been based on ‘hard-rock’ foundation, formulated in the Strategic Partnership signed by President Chirac in Delhi in 1998. The contacts are based on mutual trust and a common vision of the world. On May 15, Emmanuel Macron officially took over from President Hollande and the same day, he paid the traditional visit to the German Chancellor in Berlin; both leaders spoke of the importance of France–Germany relations for the European Union. Between his investiture and his triumph in the legislative elections, the French President met the US President and hosted Russian President Vladimir Putin at the historic Palace of Versailles. Macron’s firm dealing in international issues could be seen for the first time, a radical change from the mild approach of his predecessor, the unpopular Francois Hollande. On June 3, Prime Minister Narendra Modi paid a short visit to Paris to congratulate and acquaint himself with the new French President. The talks were mainly centered around the Paris Conference on Environment as President Donald Trump had just announced that the US was withdrawing from the Paris Accord. The talks with the Indian Prime Minister at the Elysee Palace lasted two hours. It was more than an ice-breaking exercise as the Indian Prime Minister had especially come back from Moscow to meet Macron. Speaking after the talks, Modi declared that the Paris climate deal reflects "our duty towards protecting the Mother Earth and our natural resources. For us, protection of environment is an article of faith." In this short time, something ‘passed’ between the two men, laying a firmer basis for future relations. During the second week of December, President Macron will pay his maiden visit to India. Apart from the Solar Alliance in which both countries have invested energies and resources, the project of Smart Cities, dear to Mr Modi, will be discussed and taken forward. France has already adopted three cities, Chandigarh, French Architect Le Corbusier’s township, Nagpur and Puducherry. Macron’s visit is perhaps the opportunity to go a step further. On July 13, a day before Bastille Day, during a press conference jointly addressed by the French President and the German Chancellor in Paris, the two nations announced their intention to cooperate for the development of a future combat aircraft, which could one day replace the Rafale of Dassault Aviations and the Eurofighter/Typhoon. Mr Macron spoke of ‘road maps’ for joint investment opportunities in 18 areas, including a fifth-generation fighter plane. The French President sees this venture as part of a broader integration of several European partners for the development, deployment and export of combat equipment. Soon after the World War II, a man had a revolutionary proposal: to unite the enemies of yesterday, France and Germany, by bringing them to work together. Jean Monnet, the father of Europe wrote: “the course of events must be altered. To do this, men’s attitudes must be changed. Words are not enough.” Monnet thought that since both Germany and France had to rebuild their industry, it was bound to revive the old rivalry. Monnet’s idea was to reverse the problem — what had been the seed of war must become the seed of unity — his proposal was therefore to create a high authority which could manage the resources in coal and steel for both nations. This was hhe embryo of the European Economic Community (EEC) and later the European Union. Monet was a visionary; the world will be lead by multi-nation collaboration in the future. Take the example of the UCAV (Unmanned Combat Aerial Vehicle) developed by Dassault Aviation of France as the prime contractor, as demonstrated this. The nEUROn drone project perfectly reflects the original European ‘spirit’ though ironically, Germany is not directly associated. Six European countries have decided to build an UCAV as a technology demonstrator. This European programme has been designed to pool the skills and know-how of Alenia Aermacchi (Italy), Saab (Sweden), EADS-CASA (Spain), HAI (Greece), RUAG (Switzerland) and Thales (France) to produce the drone of the future. 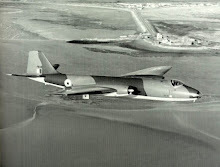 With a length of 10 metres, a wingspan of 12.5 metres and an empty weight of five tonnes, the aircraft is powered by a Rolls-Royce Turbomeca Adour engine. It was French President Jacques Chirac who unveiled the Dassault-led nEUROn project in June 2005; the project crossed a major milestone on December 2012 when the UCAV had its first successful flight from Istres airbase, near Marseille in South France. Dassault Aviation is the master builder, responsible for the overall architecture and design, flight control system, global testing (static and flight), elements of stealth, final assembly, integration of systems and testing. NEUROn is undoubtedly an extraordinary technological challenge for the European companies involved. Why could not India be involved in such like high-tech projects with France (and also the EU)? Let us come back to the development of a fifth-generation combat aircraft. India has tried to work with the Russians. The project is not doing well. Delays are said to have been caused because New Delhi and Moscow disagree on many fundamental aspects such as work and cost share, aircraft technology or numbers of aircraft to be ordered by India. Though presently theoretical, a question, could be raised, why can’t India join the Germano-French project? While Europe may not require hundreds of fifth generation aircrafts in the decades to come, India will need hundreds of planes, having to cope with two fronts. Mr Modi has developed an excellent rapport with Mr Macron and Ms Merkel; it would make economic and strategic sense for India to partner Europe. It could be good for the European industries as well, as they would get crucial financial support and a market. It is worth thinking about such a far-away possibility; it could be a win-win deal for India too as Delhi would be involved in the project from the conception. The High-Mass of the Chinese Communist Party (CCP) has started. Every five years, it follows the same precise ritual. The outgoing CCP’s General Secretary (in the present case, Xi Jinping), gives a 3 hour long speech, describing the internal and external changes facing the country, which the party needs to address. First, the election of 2287 delegates to the 19th Congress which took place months ago, among 40 ‘electoral blocs’ – representing each of China’s 31 provinces as well as the central party organs, national State institutions, the People’s Liberation Army, etc. There are two types of delegates, the ‘big shots’ who will make it to the 200-odd member Central Committee (CC) and the ‘grass-root’ delegates which count for nearly half of the delegates; and five or seven ‘big ones’ who will eventually reach the Communist Paradise, the Politburo’s Standing Committee. The Party Congress has three main purposes. First, it establishes a new party line to be followed for five years; the Congress is the authoritative body to do so. The ‘draft’ read by the General Secretary has been seen and commented by thousands and hundreds of amendments have already been incorporated. At the end, a resolution will endorse Xi Jinping’s speech establishing the party’s consensus on all policies that the party leadership will face. Then, according to the Constitution, a CC Plenum must convene at least once a year to follow up on the directions given by the Congress. 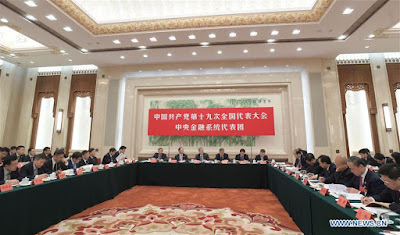 The second purpose of the Meet is to revise the Party’s Constitution and introduce changes such as a new theory, a brain-child of the current Secretary General. Finally, the Congress nominates a new leadership for the five years to come. 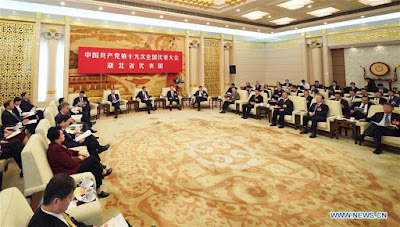 It includes the CC whose plenums give directions to the Party between two Congresses, but also some 170 alternate members whose role is replace the CC’s full-members when required (when full members are sent to jail for corruption for example), as well as a new Central Commission for Discipline Inspection (CDIC), whose job is to tackle corruption. Finally, before the Congress closes its doors, the CC’s first Plenum will appoint the top party leadership. It also nominates the all-powerful Central Military Commission, a new Secretariat (the body that facilitates the implementation of Politburo decisions) as well as the State Council or Cabinet, headed by the Premier, usually the No 2 in the Party’s hierarchy. One of the most expected parts of the speech was the inclusion of Xi’s so-called political philosophy; it will thereafter be known as ‘socialism with Chinese characteristics for a new era’. Other highlights are ambitious targets to be achieved during the next 30 years and more, “From 2035 to 2050, China should become a nation with pioneering global influence.” The momentum of the anti-corruption campaign is ‘irreversible’ and rule by law would be maintained. Some in India may think, it is not necessary to worry; 2050 is far-away. However it is crucial to watch the CMC’s new composition. It may bring radical changes and surprises which could determine if new ‘Doklam’ incidents would take place in the years to come. Sharp observers have predicted that the number of Vice-Chairmen of the Commission may go from two to four. 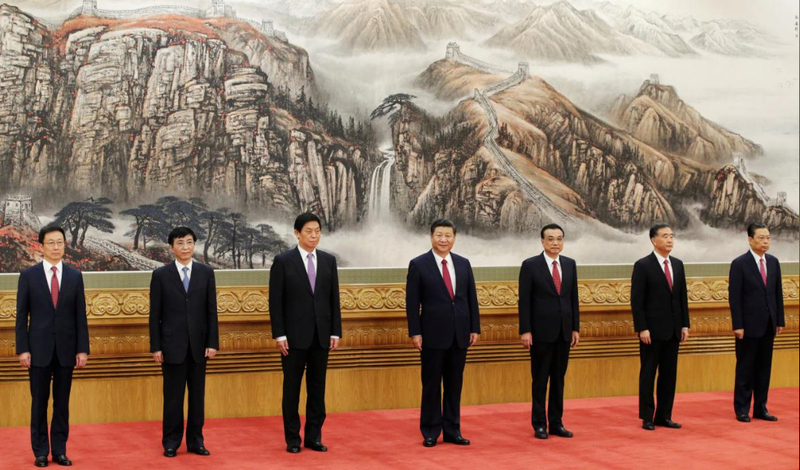 Some of Xi Jinping’s close allies are expected to be promoted. One is General Zhang Youxia, director of the Equipment Development Department, who is tipped to become one of two vice chairmen, while present vice chairman, Xu Qiliang, is expected to stay on. Zhang, like Xi is native from the northwestern province of Shaanxi and both he and Xi are children of former senior PLA officials. The other two candidates are Li Zuocheng, director of the Joint Staff Department and Miao Hua, the new head of the Political Department; they may also make it. Whether China will follow a ‘peaceful rise’ or a more tumultuous one, will depends on the capacity of Xi to impose a ‘rule of law’. If the generals remain ‘wild’ as in the past, India may have to face a serious situation. The battle is not yet played out. Apart from the Secretary General's speech, is it interesting to look at the attire of the delegates. On the second day of the 19th Congress, the delegates of the 31 provinces met separately. 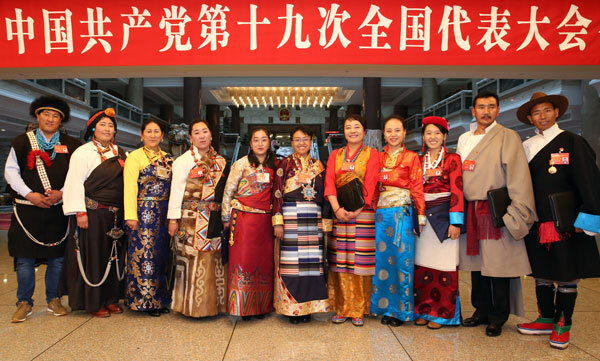 While most of the delegates wore suit and tie, the Tibetans had to show off their regional attire. Just have a look at these photos. And now the Tibetan delegation. Out of 29 delegates, 11 Tibetans are from the 'grass root'. 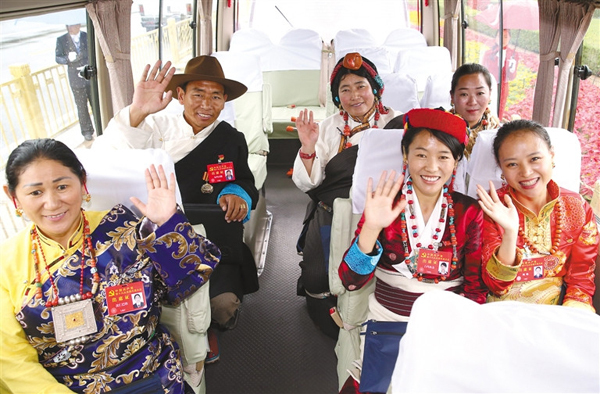 While the 'big shots', from the regional Standing Committee of the Tibetan Autonomous Region like Wu Yingjie, Lobsang Gyaltsen or Che Dralha wore suits and ties, the 'grass root' delegates have no choice but to show their regional costumes. It is always a great attraction for the journalists and photographers. Can it be considered as a display of Tibetan culture? Are the delegates just for the show in Beijing ? My article The Indian government might well be asking, 'what will China do next?' appeared in Mail Today/Daily Mail (UK). Of course, Luo Zhaohu, the Chinese Ambassador in India, spoke of ‘turning the page to a new chapter’. Can India believe him? In an oped in a national newspaper, Luo says that the outcome of the August BRICS Summit in Xiamen (China) went beyond his expectations: “An important consensus has been reached to enhance mutual trust, focus on cooperation, and manage differences.” Luo even quotes the Chinese President: ‘the dragon and elephant should dance together’. Mr Luo is lucky that the Indian media is Alzheimerish and has already forgotten the nasty words used by Chinese officials against Indian leaders during the Doklam episode, because Delhi did not allow mighty China to build a road on Bhutan’s territory. Incidentally, how could Beijing have engaged in this misadventure without a sort of ‘clearance’ from its man on the spot (in India)? 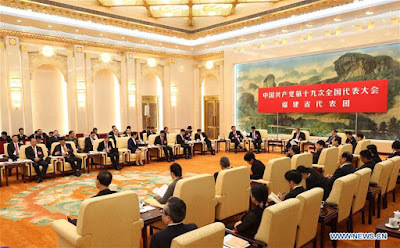 On its part, China has not forgotten the standoff on the ridge near the trijunction; while the Ambassador speaks of ‘turning a page’, the People’s Liberation Army (PLA) cancelled the ceremonial border personnel meetings (BPM) to mark China's National Day on October 1. Several times every year, the PLA and the Indian Army meet at five designated Border Personnel Meeting (BPM) points along the 3,488-km long Line of Actual Control (LAC); in Ladakh (Chushul and DBO), in Arunachal (Bumla and Kibithoo) and in Nathu-la in Sikkim. 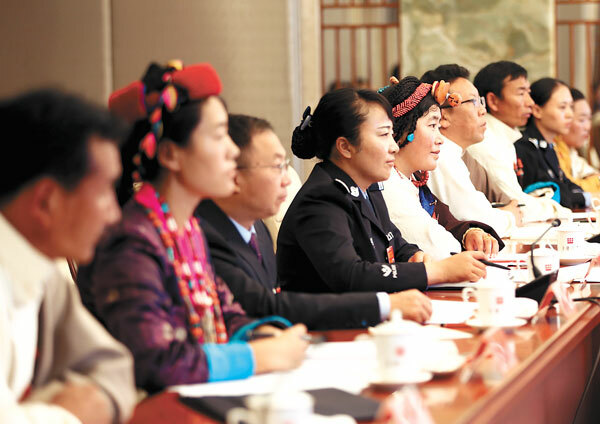 Local commanders (usually the brigade commanders) meet their Chinese counterparts to sort out differences on local issues, but also to get know each other. This is an excellent confidence building measures during which ‘gifts’ such cigarettes, liquors, etc are exchanged. The fact that it was not held on October 1 shows that the PLA is not ready to close the chapter. But that is not all: the annual joint exercise between the Indian Army and the PLA will not be held in 2017. Called ‘Hand-in-Hand’, it was held in Pune last year. The Indian and Chinese troops simulated counter-terrorism scenarios and worked together during a couple of weeks. Again a good CBM cancelled. In March 2017, Delhi wrote to Beijing to start the initial planning process; no answer from China. China has also not provided data for the Sutlej and the Yarlung Tsangpo, as per the agreement signed by the two countries. Some vague excuses have been given for not doing so. In this morose context, an incident took place in Dharamsala, the hometown of the Dalai Lama in Himachal Pradesh. 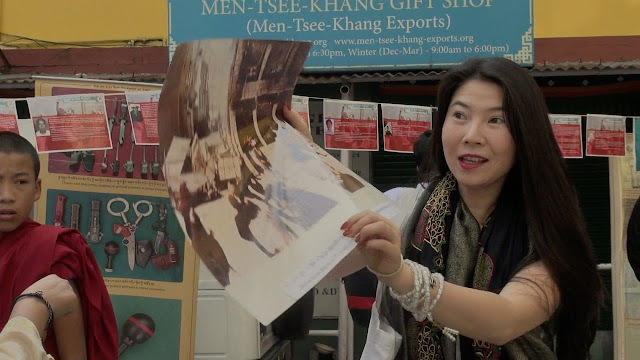 On October 1 (incidentally, the Chinese National Day), a Chinese woman, a long-term guest in India, holding a US passport, physically assaulted a Tibetan woman “hurling verbal abuses and also vandalizing a part of the photo exhibition set up by our NGO near the Dalai Lama’s Temple, in McLeod Ganj,” according to the Police complaint. A Dharamsala-based Tibetan NGO called Gu-Chu-Sum, started by former Tibetan political prisoners, had organized a photo exhibition to mark the 30th anniversary of 1987 Tibetan unrest in Tibet. The exhibition was held at proximity of the main Temple. She attacked Namgyal Dolkar Lhagyari, a Member of the Tibetan Parliament and Gu-Chu-Sum president, when the latter tried to pacify her; the correspondent of Voice of America (Tibetan language) who was filming the scene, was hit in the face and thrown on the floor by Zhu. Though there is no proof that the Chinese lady is linked to the regime in Beijing, the attack however raises serious issues. 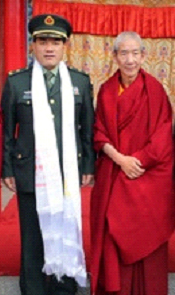 First for the Dalai Lama’s security: Zhu recently appeared on a photo with a group of Chinese inside the Cathedral. Are all the followers/students of the Tibetan leader properly screened? Second, how did Zhu get a five-year visa to ‘study’ in India? Who provided the guarantee for her visa? Even presuming that she was a genuine ‘student’ at the time of application, is there a way to keep a tab on all ‘Buddhist’ and other seekers gravitating around Dharamsala? How far is the Himachali town infiltrated by the Chinese intelligence? All these questions need to be answered. 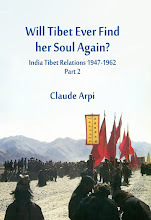 For the past fifty-five years, the Tibetan refugee community has been an exemplary and peaceful community in India. This should remain so and the Tibetans should not be disturbed by unwarranted elements. Whatever the results of the enquiry, Delhi needs to realize that the Chinese ‘answer’ to Doklam may not be visible on a mountain ridge in Arunachal Pradesh or Ladakh, but may be ‘asymmetric’. Today, it is obvious that the Doklam page has not been turned; for example, as Indian Foreign Secretary landed in Paro to take stock of the relations with Bhutan, there are persistent rumors that the PLA has massed troops in the Chumbi valley, north of Doklam. Delhi needs to remain fully alert and ready to tackle any situation, military or otherwise. 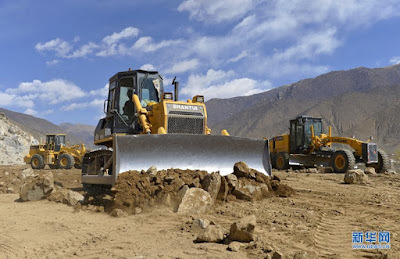 Yesterday the Lhasa-Nyingchi (or Nyingtri in Tibetan) High Grade Highway was opened for trial operations. The four-lane Lhasa-Nyingchi High Grade Highway is 398 km long; it is designed for a 80 km/h speeed. The train on the same route should follow in a couple of years. 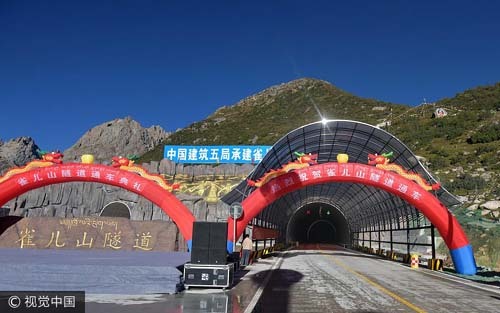 Another project, termed as the world's highest highway tunnel, was also recently opened to traffic. Que'ershan is the Chinese name for the Rongme Ngatra is the highest peak of the Chola Mountains in the Kham region (today’s Sichuan). The project is part of a highway (NH 317) between Nagchu and Chengdu. Chengdu, Sichuan via Garzi (756 km), Dege (960), Jomda (1070), Chamdo (1298), Riwoche (1403) Dengchen (1546) Bachen (1782), Sog (1812) and Nagchu (2043). On August 29, 2017, the Kyirong-Nepal border post was reopened for foreign travelers. Located in the Kyirong County, Shigatse, Kyirong border post is a vital landport between Tibet and Nepal. Kyirong border is located 85 km away from Nepal's capital Kathmandu; from China-Nepal highway section, Kyirong docking distance is only about 30 km. Interesting, the article mention that it is the terminus of the National Highway 216 (Xinjiang-Tibet Highway second line). I mentioned earlier about this extremely important development ('A new road between Tibet and Xinjiang'). In 789 AD, according to legend, when Nepal's Princess Bhrukuti married the Tibetan King Songtsan, she followed the trekking route to Tibet via Kyirong Border. Kyirong border was the main channel of the political and cultural communication between China and Nepal, but also the traditional border trade market. Tibetan people main export sheep to Nepal. In 1972, China's State Council has approved Kyirong Border become a national second-class land port and set up the departments such as customs and commodity inspection department. But trade market and the departments in Kyirong Border were closed later because of the prosperity of Zhangmu port. In 1987, China's State Council has approved Kyirong Border for the national first-class land port. Except for barter transactions, Nepalese currency, and RMB is also as a means of payment. In 2014, China government decided to expand the opening in Kyirong Border. However, in 2015, the road to the Kyirong border has been severely damaged by the heavy earthquake in Nepal. Therefore, the Kyirong border was closed for foreign travelers. Besides, in June 2016, heavy monsoon rains along the Kyirong border caused severe damage to the roads. On August 29, 2017, Kyirong border in Tibet was reopened for foreign travelers. Last week, Xinhua announced the construction of a new 'scientific' observation station in Metok, north of Upper Siang district of Arunachal Pradesh: “The Chinese Academy of Sciences (CAS) will build a new observation station in Tibet, to assist research and monitoring of the ecological system in the southeast of the Autonomous Region,” said an official release. The station is located in Deshing village of Metok County, north of the McMahon Line. It will cover 2,600 square meters and will be completed by October 2017. Zhu Liping, a researcher with Qinghai-Tibet Plateau Research Institute (under the CAS) explained: “Rich in bio-diversity, Metok plays a special role in the Qinghai-Tibet Plateau ecosystem." It is also one of the most strategic places on the plateau. Officially, it will be not only used for observing vegetation, glaciers, lakes and atmosphere, but also researching and monitoring bio-diversity and its impacts on climate change. It is too close to India to believe that it will only observe wild animals and glaciers; specially when one knows that this area, the lowest part of the plateau, has very few glaciers. The CAS also affirmed that the station is the latest of a series of observatories located in places such the Namtso lake, north of Lhasa and Mount Chomolangma (Everest). The observatory may be watching birds, but let us not forget that any infrastructure development on the plateau has a dual use (civil and military). It will certainly take a look at the 'birds' in Tuting Circle of Upper Siang too. Around the same time, Kangba TV announced the construction of a bridge at Mingze, (Mingtse? ), near Tsetang on the way between Lhasa and Nyingtri (Nyingchi). 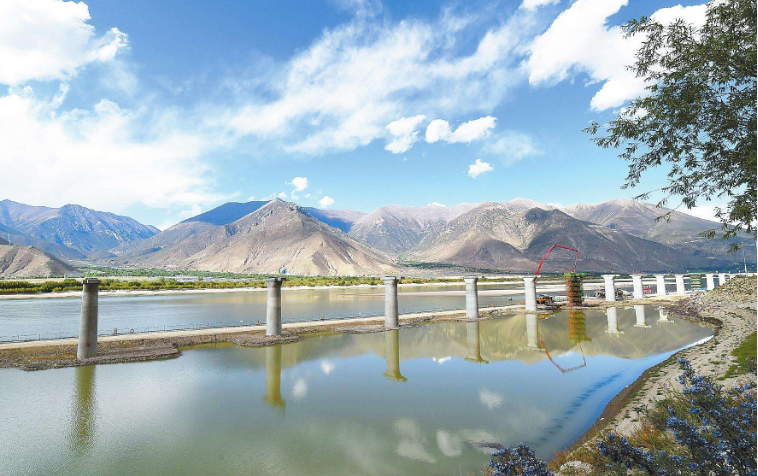 On March 25, the first bridge over Yarlung Tsangpo River on the Lhasa-Nyingchi Railway line was completed. It is crucial portion of the 435 km Lhasa-Nyingchi Railway which is estimated to be finished in 7 years (as it started in November 2015, the line should be completed in 2022). The train will run at a speed of 160km/h; in 2022, it will take less than 3 hours to travel (or bring troops) from Lhasa to Nyingchi. 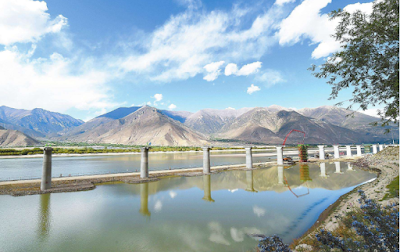 The 3,376 m Mingze Bridge is one of key projects of Lhasa-Nyingchi Railway. It has 105 pier bodies, out of which 44 are on the Yarlung Tsangpo. Apart from the railway line, China is building a Lhasa-Lhoka (Shannan) Express Line (Highway), also part of the Lhasa-Nyingchi Highway. The highway will run in parallel to the train. Both will have dual use. It is said that it will allow the airport to open new air routes, for example to Xi'an, Shaanxi Province. This will allow to greatly increase the traffic on the existing routes to Lhasa, Guangzhou, Kunming, Chongqing and Shenzhen. Nyingchi is located at an average elevation of 2,950 meters above sea level. More than three millions according to Chinese statistics. Incidentally, the Bayi Township owned by the People’s Liberation Army and located nearly is also served by the same airport. The Indian border will be provided a good access to the PLA …in case. The other railway line from Lhasa/Shigatse to Kyirong on the Nepal border has been delayed by the 2015 earthquake whose epicenter was near Kyirong. The area is fast recovering and according to Xinhua the total volume of trade at the border port of Kyirong hit 3.4 billion yuan (490 million U.S. dollars) in 2016, a 4.5-fold increase year over a year. The magnitude 8.1 earthquake on April 25, 2015 had forced the closing of Zham and Kyirong ports. In October 2015, Kyirong was reopened for trade. Slowly, Kyirong should take over Zham’s trade function, which used to clear about 90 percent of land-borne trade between China and Nepal before the earthquake, says the official Chinese news agency. Nepal seems very keen on this. On March 28, Wu Yingjie, Tibet’s Party Secretary met with visiting Nepalese Prime Minister Prachanda. 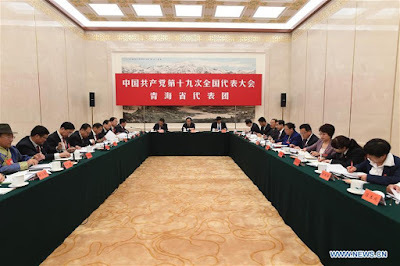 The chairman of the Standing Committee of the Autonomous Region People's Congress, Lobsang Gyaltsen and Che Dralha, the head of the Tibetan government were in attendance. 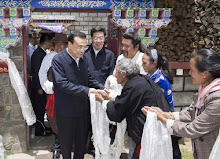 Wu Yingjie extended a warm welcome to Tibet to Prachanda: “The Nepalese government has always firmly adhered to the One-China policy and does not allow foreign forces to use Nepal's territory to engage in anti-China activities,” affirmed Wu. Wu Yingjie pointed out that throughout the history, Chinese and Nepalese have been like 'lips and teeth’, like brothers. Prachanda Prime Minister was on his way back from the annual Boao Forum for Asia; he had later stopped over in Beijing to meet President Xi Jinping and Vice Premiers Zhang Gaoli and Wang Yang. “The visit has achieved fruitful results”, according to Xinhua. During his encounter with Wu, Prachanda said that Nepal highly appreciates the Chinese philosophy of fraternity, honesty, gratitude, and tolerance, and Nepal would continue to firmly adhere to the One-China policy and would not allow any forces (read Tibetan refugees) to engage in any anti-China activities in Nepalese territory. On March 29, Prachanda returned to Nepal after spending some hours visiting the Tibetan capital.